It’s important for people with Diabetes to visit a doctor for tests, whenever they feel any symptoms. Symptoms are signs or body reactions that warn us when something isn’t well, which is why it’s vital to check with your doctor as soon as you can so he can check you thoroughly to determine the cause of the symptoms you present. Early detection of any problem and proper treatment, increase the possibility of delaying, stopping or reversing any damage and complications that poorly controlled Diabetes may cause. Neglect, indifference, overconfidence, self-diagnosis, self-medication and letting time pass without consulting a specialist, is what makes Diabetes treacherous and dangerous. If a health problem isn’t detected or properly treated on time, progressive deterioration or damage in your body may be inevitable and, in some cases, irreversible. Here we’ll mention a few health problems or chronic complications, symptoms, tests and recommendations so Diabetes won’t affect your quality of life. Diabetic Neuropathy: Diabetic Neuropathy is one of the most common chronic complications in people with Diabetes who haven’t adequately controlled their blood glucose levels and Hemoglobin A1c for several years. Diabetic Neuropathy involves damage to the peripheral nerves and autonomic nervous system and over time this condition can worsen until it reaches severe stages. It is estimated that 60% of people who have had Diabetes for 10 years or more, have some a degree neuropathy. Diabetic neuropathy is nerve damage caused by poorly controlled Diabetes over several years. The nerves that may be affected by Diabetic Neuropathy are motor nerves (signals sent by the brain which control muscle and limb movement), sensory nerves (these are the signals sent to the brain with information about pain sensations, cold, heat, textures, etc.) and autonomic nerves (those that we can’t consciously control, like our heartbeat, digestive processes, renal function, etc.). The symptoms of damage to motor nerves are, loss of balance, loss of muscle tone in the legs and feet, changes in the shape of the foot (Charcot foot) and muscle weakness. The symptoms of damage to the sensory nerves are, numbness, stinging, stabbing or sharp pain in the legs and feet, loss of feeling in the arms and legs, tingling and burning sensations, among others. The symptoms of damage to the autonomic nerves are, among others, bloating, fullness, loss of bladder or bowel control, problems with sexual health in men and women, low blood pressure, vomiting, reflux, nausea, constipation and diarrhea. If you have any of these symptoms, seek medical attention as soon as possible, so that the following tests or examinations can be prescribed: an electromyogram (EMG), tactile, thermal and algesic surface sensitivity, nerve conduction velocity (NCV), lumbar puncture and reflexes, among others. Atherosclerosis: Atherosclerosis is a very common condition, especially in people with type 2 Diabetes. Atherosclerosis usually is caused by excess fat accumulated in the abdominal adipose tissue (waist) and high levels of blood insulin (hyperinsulinemia), which occur when adipocytes cause damage to the endothelial tissue, causing it to produce less nitric oxide. The endothelium is the layer that lines the arteries and should be smooth, viscous and flexible, thanks to the nitric oxide it produces. When the endothelium doesn’t produce enough nitric oxide, it becomes rigid, hard and sticky and cholesterol molecules tend to adhere to the inner walls of arteries, facilitating the formation of atheromatous plaques. Atherosclerotic plaques hinder normal blood flow, which carries oxygen and nutrients to organs and tissues. This can seriously affect the organs or tissues the arteries serve. Atherosclerosis can also lead to coronary heart failure if the artery is directed to the heart, a stroke if the artery goes to the brain or peripheral arterial disease if the artery carries blood to the legs. Therefore, atherosclerosis is a serious health condition that can cause serious irreversible damage and even premature death in a high percentage of people with Diabetes, especially Type 2 Diabetes. Unfortunately, Atherosclerosis has no symptoms until it is in its most advanced stage, having already caused serious damage to the body: the arteries are more blocked and restrict more blood flow. Your doctor may detect Atherosclerosis in its initial stage, checking your heart and lungs with a stethoscope, as at this stage the doctor can hear a murmur or whisper on the artery, and will thus be able to make additional evaluations to diagnose Atherosclerosis. Some of these additional evaluations are: intravascular ultrasound, stress test, arteriography, ankle-brachial index (ABI), pulmonary angiography and Doppler ultrasound. When blood flow going towards the legs and feet is affected by an atherosclerotic plaque, it can cause serious problems due to poor circulation in the lower limbs; this is known as Peripheral Arterial Disease or Peripheral Vascular Disease. Peripheral Arterial Disease in its early stages has no symptoms so about 60% of people who have this problem, don’t really know it. When damage progresses, some symptoms arise on legs and feet such as tingling, numbness, lack of sensitivity, and changes in color and temperature (they turn cold). As the damage progresses, other symptoms such as intermittent claudication appear. Intermittent claudication is a very intense pain that occurs when those affected, walk a certain distance, but stops when they stop walking then the pain reappears when they walk the same distance again, forcing them to stop for the pain to go away. This symptom is also known as showcase syndrome, because it simulates the walk of a person who’s looking at shops in a mall. As artery clogging becomes more severe, blood flow to the legs and feet becomes increasingly affected, facilitating the development of diabetic ulcers caused by easily infected wounds due to poor circulation. 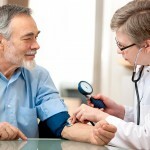 Given that Peripheral Arterial Disease usually goes unnoticed and, when it progresses to more severe stages it can cause several irreversible damage, it is very important for every person with Diabetes when noticing some of the signs or symptoms of this disease in its early stages, to check with their doctor immediately, so they can make all the necessary evaluations and tests to detect this problem as soon as possible and its progress can be slowed down or stopped. Your doctor may diagnose whether you have Peripheral Arterial Disease (PAD) or risk factors through some tests, observing the color of your feet and measuring your temperature and pulse (groin, behind the knee, ankle and top of the foot). Your pulse indicates blood flow strength; absence of or weak pulse in these places is a sign of Peripheral Arterial Disease. Your doctor may also do an ankle-brachial index measuring test where your leg blood pressure will be compared to your arm blood pressure and additionally he may ask for a Doppler ultrasound. Also, your doctor will need to check your blood pressure and run lab tests to know how your glucose and cholesterol levels are. The doctor will also find out if the patient smokes and if so will advise to quit immediately. If we don’t maintain good control of our blood glucose levels (glycemia) and Hemoglobin A1c for a long time, Peripheral Artery Disease can progress to more severe stages and unfortunately is the leading worldwide cause of amputation of the lower limbs. 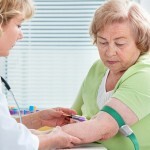 Fortunately, if you maintain good control of your blood glucose levels and Hemoglobin A1c, visit your doctor regularly and get tested to detect Peripheral Artery Disease at an early stage, you can slow or halt its damage, and prevent problems that tend to affect the quality of life of people with Diabetes. It has been scientifically proven that 75% to 85% of all amputation cases are preventable when those affected know what to do and act immediately. Other chronic complications or irreversible damage associated with poor Diabetes control also present characteristic symptoms such as: swelling (edema) in the legs, high blood pressure, nausea and urine with foam; these can indicate the presence of kidney damage and Diabetic Nephropathy. 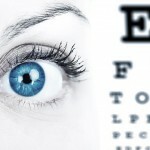 Other symptoms include seeing floaters, flashes, flashing lights and blurred vision, which may indicate retinal damage or Diabetic Retinopathy. On the other hand, tingling in the legs, cramps, numbness, tingling skin and erectile dysfunction in men, are symptoms of peripheral nerve damage or Diabetic Neuropathy. If you have heart failure or any heart problems, some common symptoms include: shortness of breath, chest pains, numbness of the left hand and nausea, among others. Therefore, it’s very important that, as soon as you notice any changes, symptoms, warning signs or alterations in your body, you visit your doctor to make sure everything is well with your health or detect any problems in time so you can have a better quality of life. People with Diabetes are at twice the risk of developing cardiovascular disease and having strokes, in comparison to people who don’t have Diabetes. 65% of people who don’t properly control their Diabetes die due to some form of heart disease or stroke. The leading cause of death in people with type 2 Diabetes is heart disease. It is very important for all people with Diabetes, especially those with atherosclerosis, to be very aware of the warning signs of certain serious situations, which can occur unexpectedly and will require them to visit an emergency room as soon as possible. Infarctions or heart attacks: Shoulder and jaw pain, left arm and hand pain and numbness, chest pain or pressure, dizziness, nausea, faintness, shortness of breath and excessive and unexplained sweating. Stroke: difficulty speaking, understanding, walking, coordinating, weakness, double vision, numbness or tingling and severe headaches with no apparent cause. Other signs that a person may be having a stroke are a sudden onset of numbness or paralysis of the face, arm or leg. Similarly, one side of the mouth may fall, especially when you try to smile. If a person is having any symptoms of heart attack or stroke, it is vital for them to be urgently transferred to a hospital, because in these cases any time elapsing could define the difference between having mild or severe consequences. Hypoglycemia: Hypoglycemia or low blood sugar, is a situation that can occur suddenly in people with Diabetes, especially if they use insulin or oral hypoglycemic agents, exercise a lot or eat less than instructed, causing their glycemia levels to drop below normal levels (less than 70mg/dl). Hypoglycemia symptoms are cold sweating, pale skin, headaches, unsuitable responses, excessive hunger, blurred and double vision, fast and strong heart beats, mood changes, tingling or numbness, lack of coordination, dizziness, confusion, shaking, somnolence, nervousness and fatigue, among others. If you have any of these symptoms you should act quickly to get your blood glucose level to rise to its normal level (70 mg/dl to 110 mg/dl) by ingesting fast absorption glucose sources such as glucose tablets or gels, candy, sugary drinks and sugar sachets, etc. When hypoglycemia or low blood sugar isn’t treated rapidly it can turn into a very dangerous situation that can cause unconsciousness, neurological damage and even death. Therefore, it’s very important for you to act immediately, as soon as you notice any of these symptoms, by ingesting fast absorption glucose sources, which every person with Diabetes should carry with them at all times, so this situation can be resolved quickly and easily. Ketoacidosis: Ketoacidosis is a very dangerous situation that can occur when blood sugar levels rise above 240 mg/dl (Hyperglycemia or elevated blood glucose levels) causing certain poisonous substances called ketones to be present in the blood. This occurs most easily when people with Diabetes have the flu, a cold, fever or other infections. In these cases it’s very important to monitor your blood glucose levels (glycemia) and urine ketones (Ketonuria) more frequently. If you have urine ketones (Ketonuria) or blood ketones (Ketonemia), you should call your doctor immediately so he can give you the necessary recommendations to solve the problem. If your blood ketone levels are elevated (ketoacidosis) some symptoms or warning signs will appear such as excessive thirst (polydipsia), frequent urination (polyuria), deep and rapid breathing, breath that smells fruity, drowsiness, nausea, vomiting and weakness, among others. If you experience any of these symptoms it’s important to visit an emergency room immediately because ketoacidosis is a very serious condition which, if not treated early, can lead to death; but if it’s dealt with on time, doctors and nurses can solve this problem within a few hours. It’s important for people with Diabetes to know what symptoms or warning signs of different situations may arise, to be able to deal with the problem in a timely manner so it doesn’t progress to more severe stages. At Diabetes Up to Date we are committed to offer you all the knowledge you need to maintain optimal control of your blood glucose levels and Hemoglobin A1c at all times, and to gather all the skills that will allow you to detect and successfully solve any problems that may arise, so you can enjoy a healthy, productive and happy life.